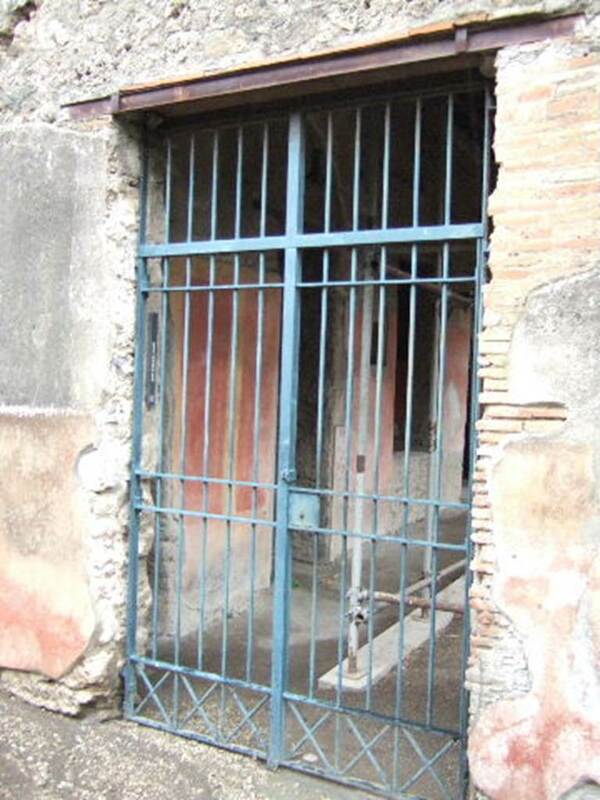 or Casa dell’orefice or Casa di Ifigenia. Excavated 1916 to 1917 and 1926. III.4.b Pompeii. December 2005. 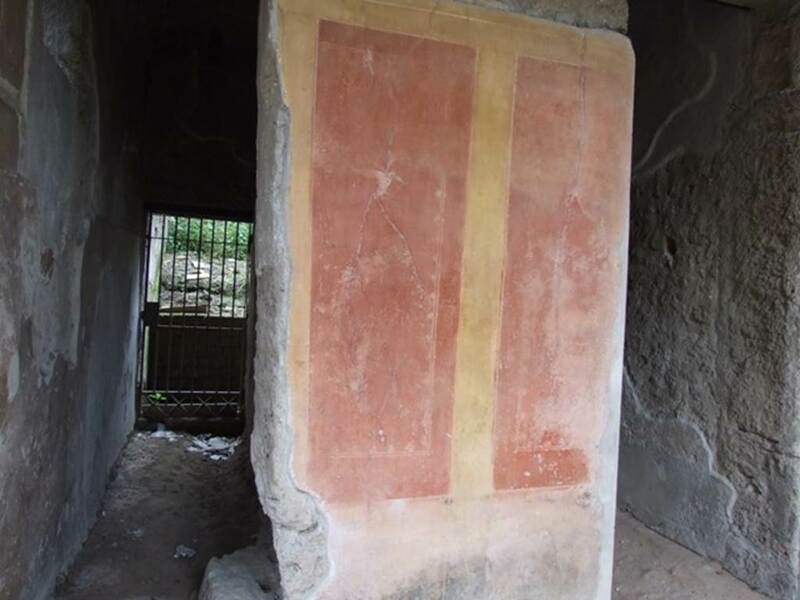 Entrance with remains of painted plaster on either side. III.4.b Pompeii. March 2009. South-west corner of north portico, by entrance door. III.4.b Pompeii. March 2009. 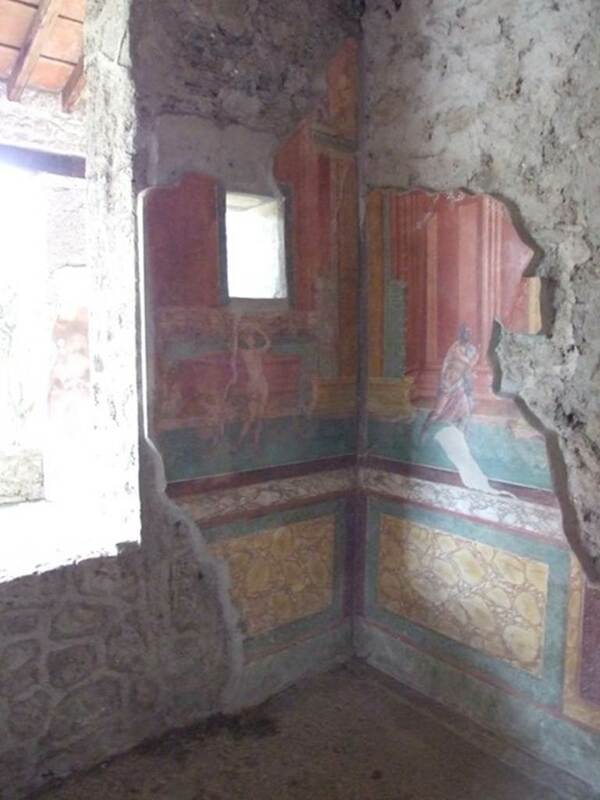 Painted wall in north portico, between rooms 1 and 2. III.4.b Pompeii. March 2009. Room 1, staircase to upper floor. III.4.b Pompeii. March 2009. Doorway to room 2. III.4.b Pompeii. March 2009. Room 2. III.4.b Pompeii. March 2009. 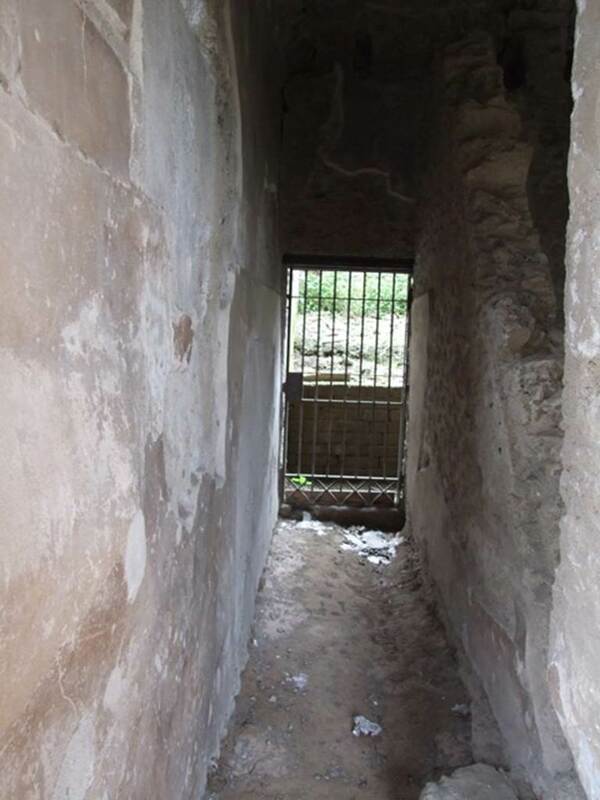 Window to room 3, and access to room 4, from the north portico. III.4.b Pompeii. March 2009. 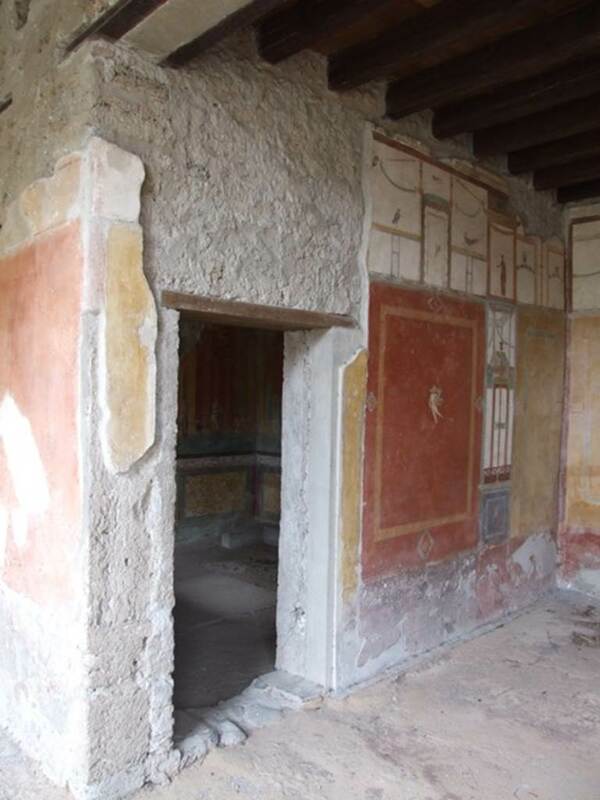 Doorway to room 3, in west wall of room 4. III.4.b Pompeii. March 2009. 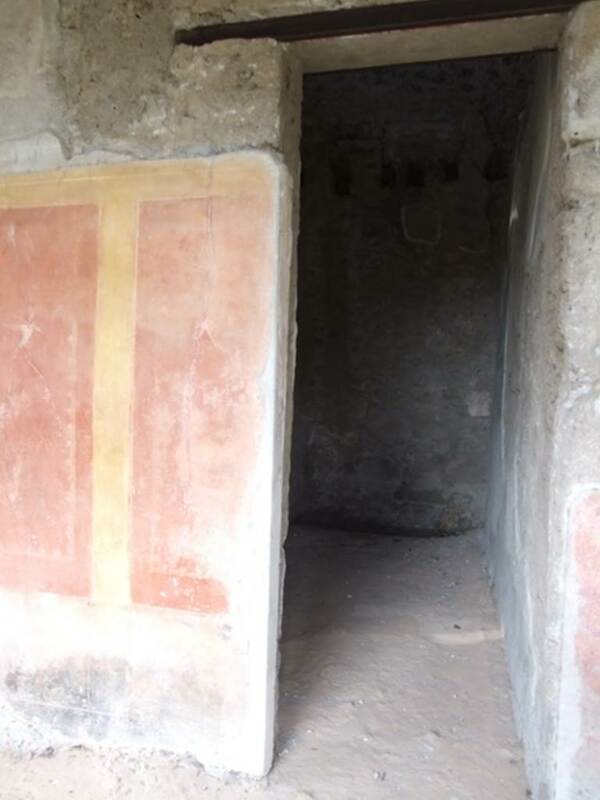 Room 3, oecus. 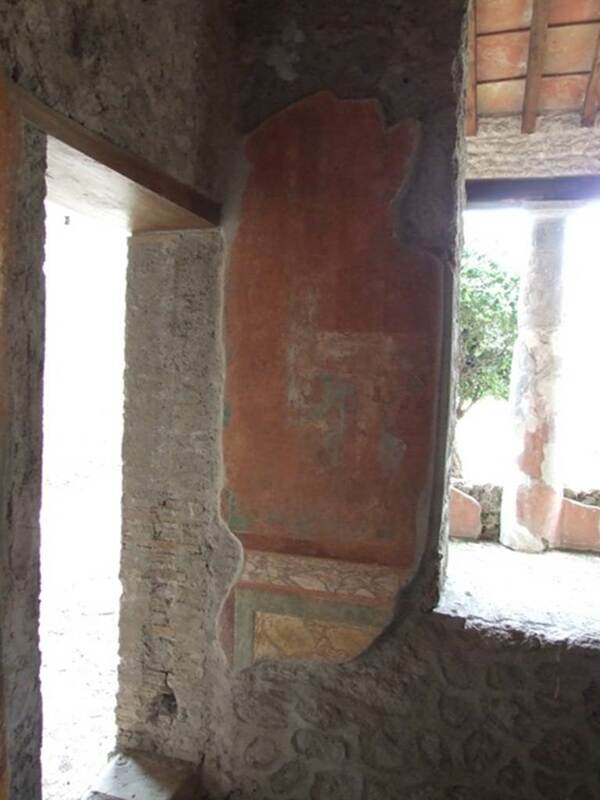 East side of window on south wall with remains of a wall painting of a Hermaphrodite grooming before a mirror. III.4.b Pompeii. March 2009. 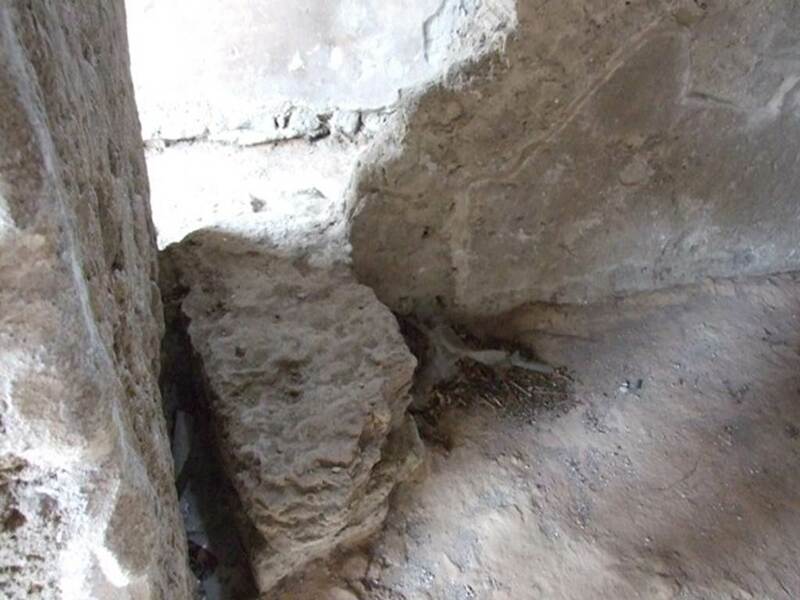 Room 3, south-west corner of oecus. 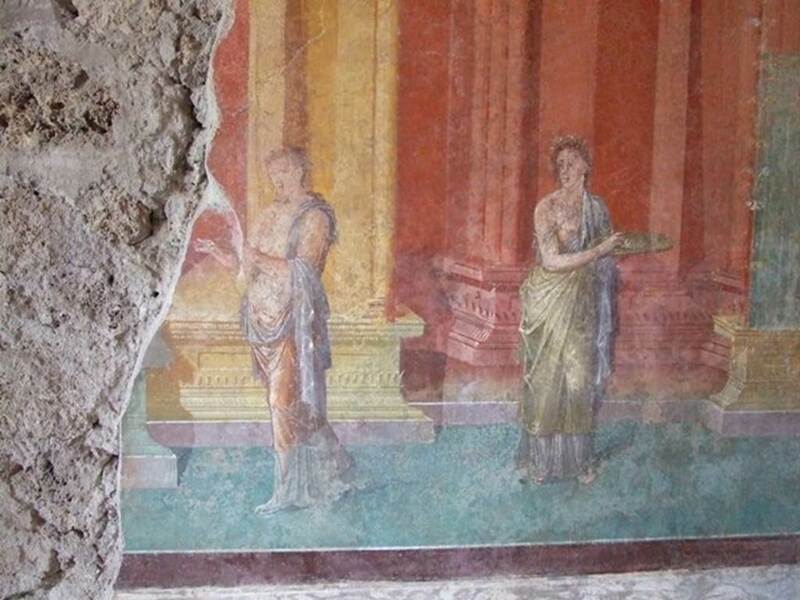 Wall painting of a Venus. III.4.b Pompeii. March 2009. 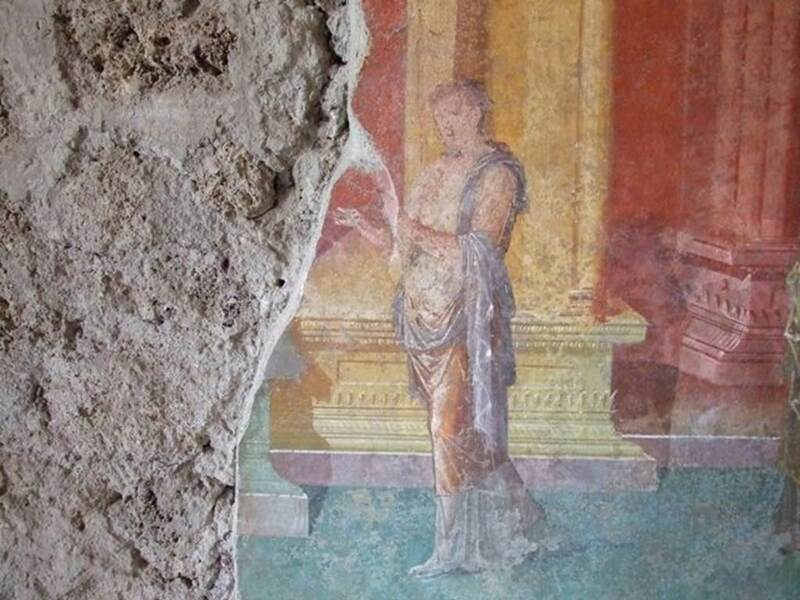 Room 3, oecus. West side of window on south wall with detail of wall painting of Venus, or female figure. III.4.b Pompeii. March 2009. 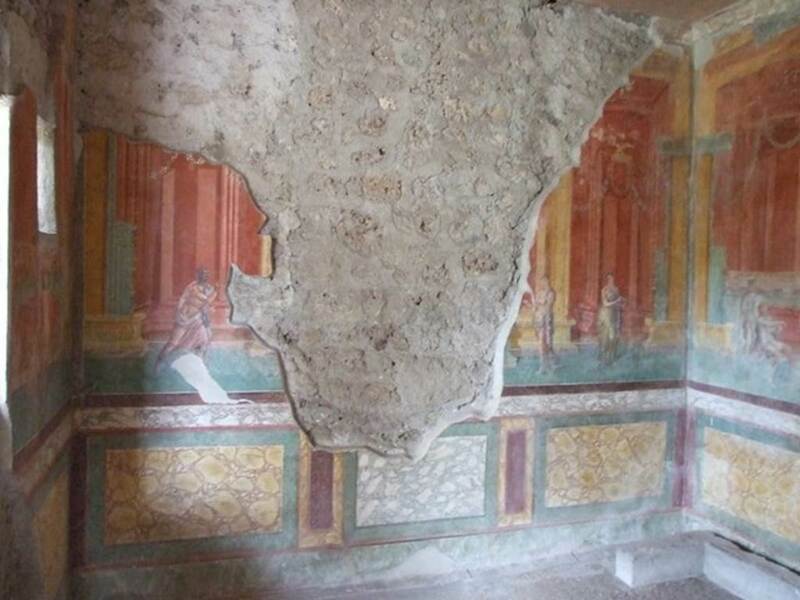 Room 3, west wall of oecus. III.4.b Pompeii. March 2009. 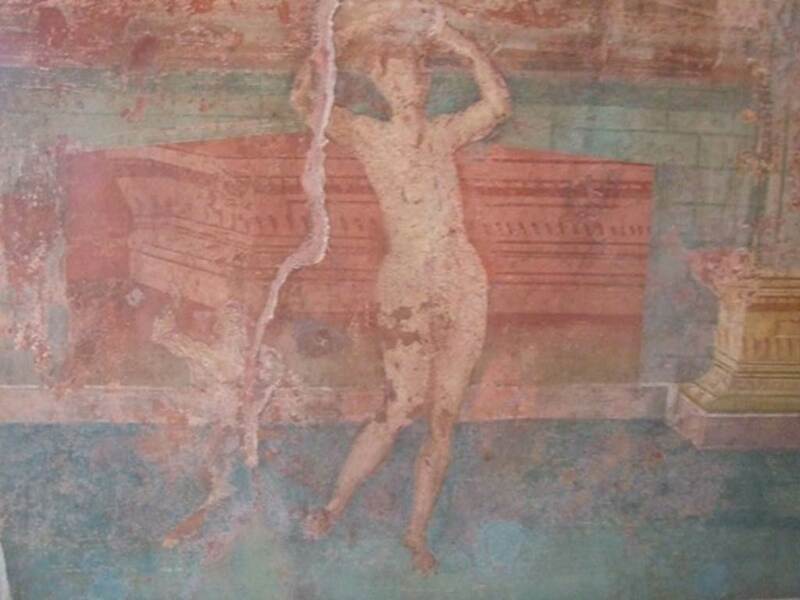 Room 3, west wall of oecus with wall painting of a running man. III.4.b Pompeii. March 2009. Room 3, west wall of oecus. Two figures, one carrying a plate. III.4.b Pompeii. March 2009. 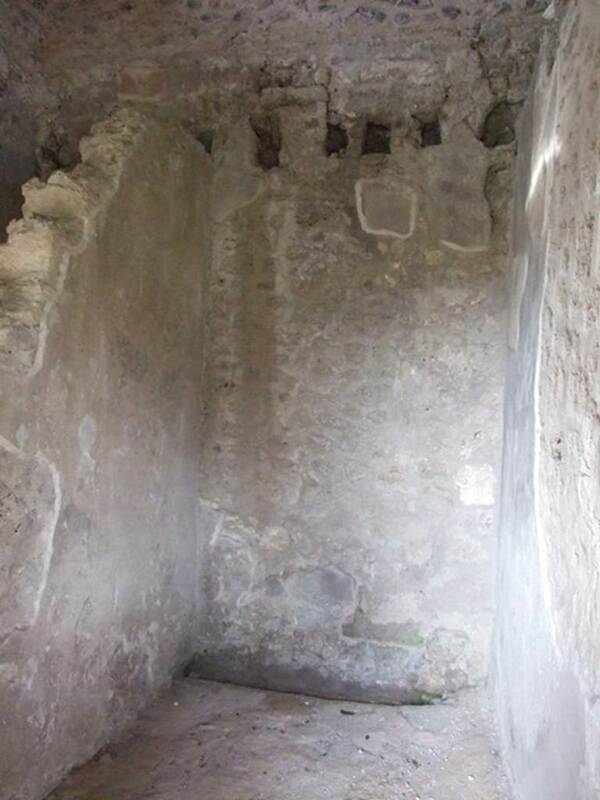 Room 3, west wall of oecus. 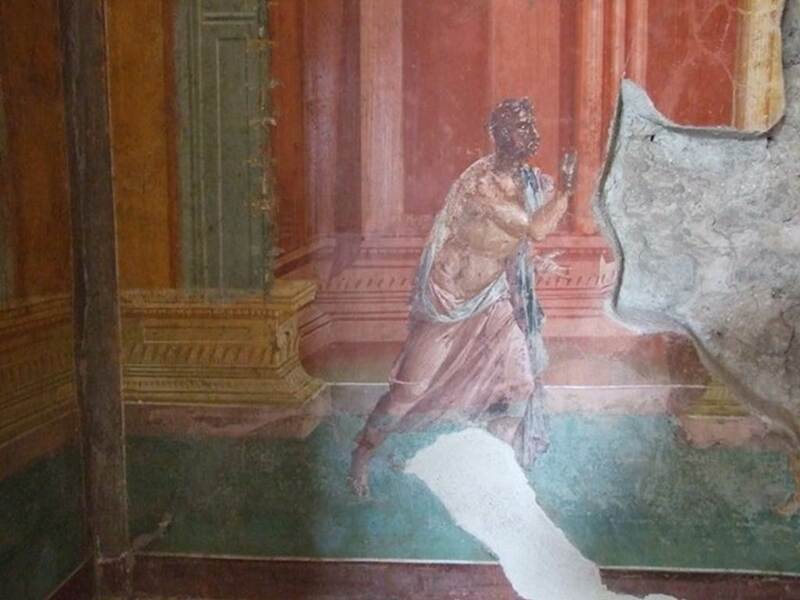 Detail of wall painting of figure. 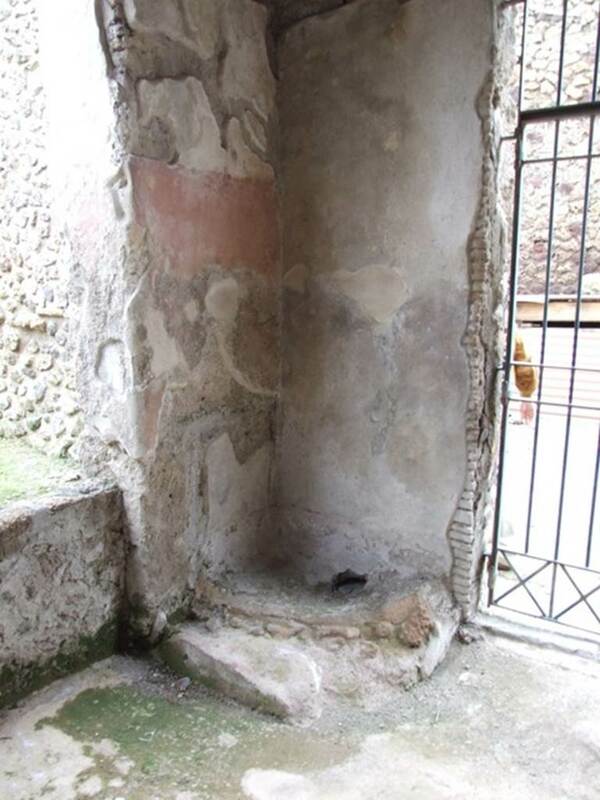 III.4.b Pompeii. March 2009. 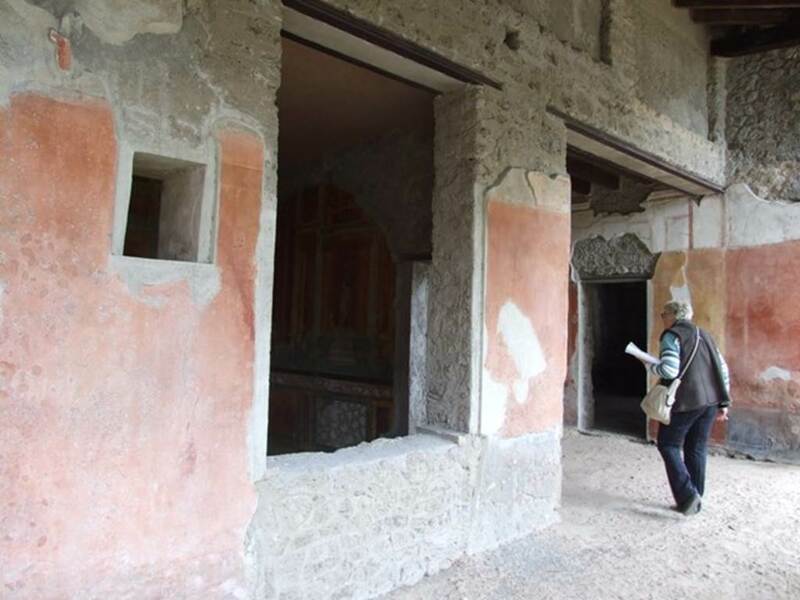 Room 3, west wall of oecus. 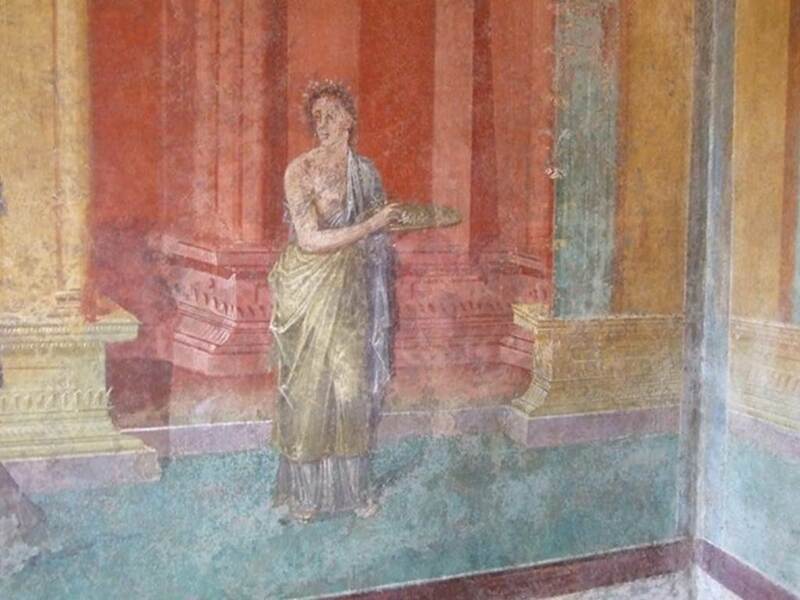 Detail of wall painting of female figure carrying a plate.